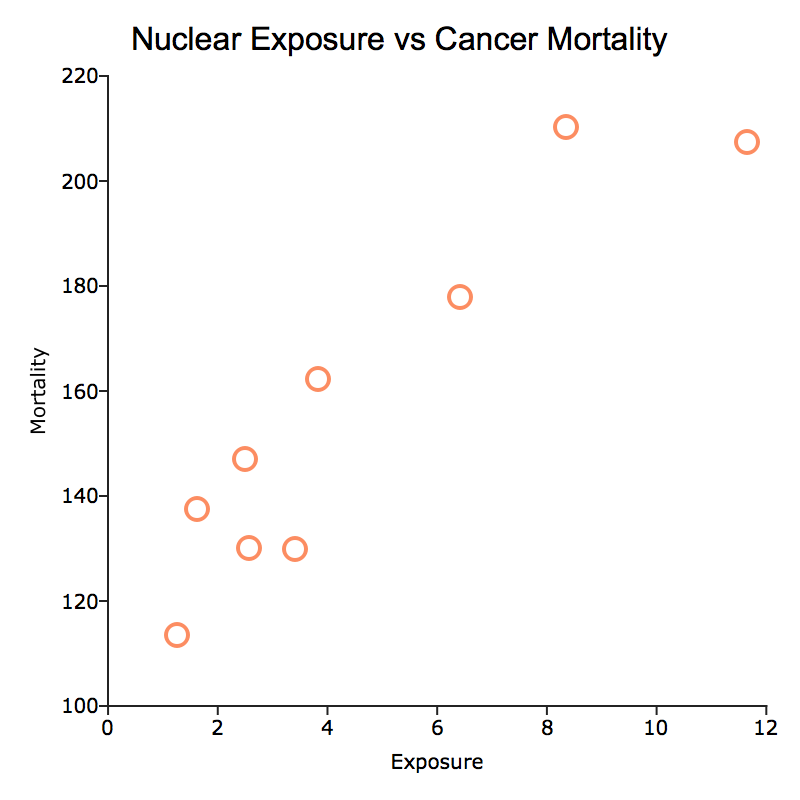 In this tutorial, we will draw a scatter plot of some data from an Excel® file containing measurements of nuclear site exposure and cancer mortality for a few counties in Washington state. You can download the Excel® file here. Now data should be a 9x2 GAUSS matrix where the first column is the exposure data and the second column is the mortality data. Let's create two new GAUSS matrices, one named exposure and one named mortality, to make the code more readable. Our initial graph seems to show a relationship, which makes the data more interesting. Next, we need to customize this graph a bit so that when we share this graph with others, they can understand what it represents. Our first graph used the default settings for scatter plots. You can view and modify those graphically by selecting Tools > Preferences > Graphics from the main GAUSS menu. It is often desirable, however, to customize your graph as part of a program so that it can be easily replicated. That is our focus for this tutorial. Declare a variable to be an instance of a plotControl structure. Fill this plotControl structure with the default values, using the function plotGetDefaults. Apply our desired changes with the plotSet functions. Pass the plotControl structure to the plotting function. ** Fill 'myPlot' with the default values for a scatter plot. The plotSet functions modify the settings inside of the plotControl structure that you are using. The first argument to each of the plotSet functions is going to be a pointer to your plotControl structure. This allows the internal elements of the plotControl structure to be modified inside of the plotSet function. While a pointer to a structure may sound difficult or arcane&hyphen;&hyphen;all you need to know is that you need to place an ampersand & in front of the structure name. Fortunately, the function tooltips will remind you. A pointer to a plotControl structure. String to display as the graph title. Optional input. String, the name of the font to use for the title. Optional input. 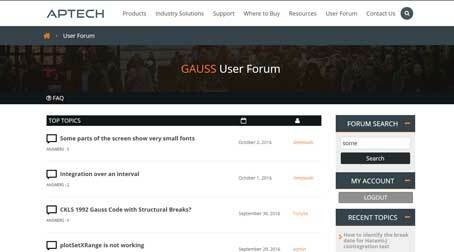 Scalar, the size of the font in points. Optional input. String, the name of font color. Note that the inputs inside of the square brackets  are optional inputs. 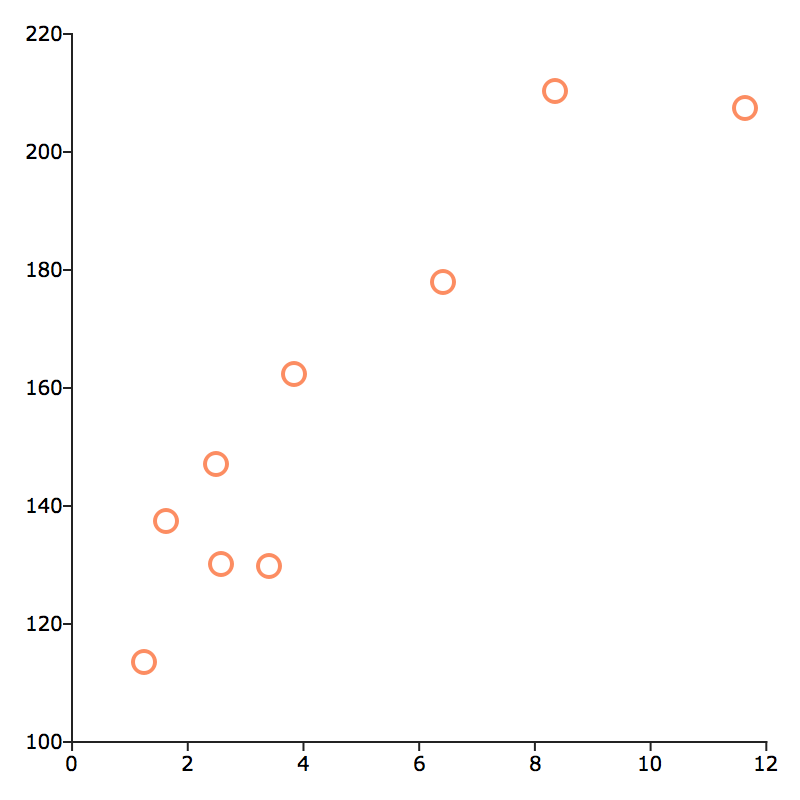 How to draw a basic scatter plot, passing in only our X and Y vectors to plotScatter. How to programmatically customize a scatter plot by using a plotControl structure.